Show your customers who’s clicking their business listing..! Contact-Stats is a plugin exclusively designed to communicate with Vantage. Contact-Stats can hide contact details of listings on specific pages & it can captures and control the statistical data of contact information from business listings. If a user is showcasing their businesses on Vantage, they would certainly like to know how much visibility they have acquired. Contact Stats requires users to click to see contact info for a listing. Each click is recorded and geo stats are compiled for review. 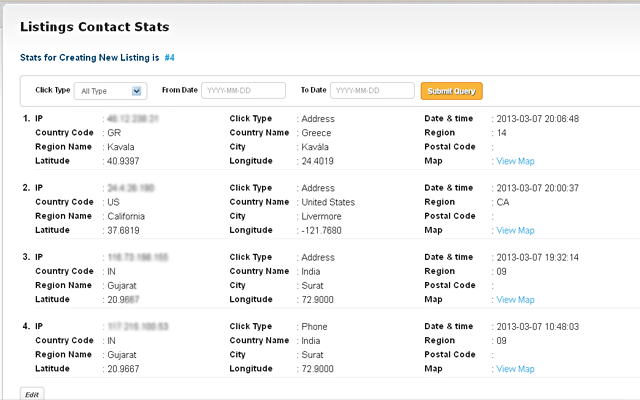 Contact-Stats provide such information to the business listing owners. Contact-Stats is build to capture valuable geographical information and the IP addresses of the users who are visiting the business listings and accessing the contact’s information. Contact-Stats works quietly and silently while running in backend without letting users know that their geographic information & IP address is being recorded. It is a very light-weight plugin and it uses the MaxMind js, therefore there is no large data files. The key feature of Contact-Stats is that, it is very simple & easy but an incredible tool, that its working process should not affect the performance neither running operation of your product, just by maintaining undersized database. Only single entry can be made per IP Address for a single business listing, i.e., clicking on Phone number, Address or Website, only one common record will be maintained per IP Address and this way, only one information can be obtained from one IP address. This way, you can gather the data of IP Address & Region etc., that when and from where user has hit to obtain the contact information and this information can be re-utilized in future. Works right out of the box, does not require any specific configuration. 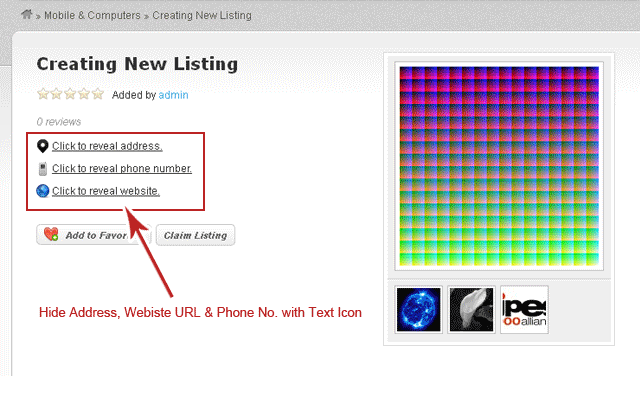 Add custom icon and text to hide Phone number, Address & Website URL in business listing. 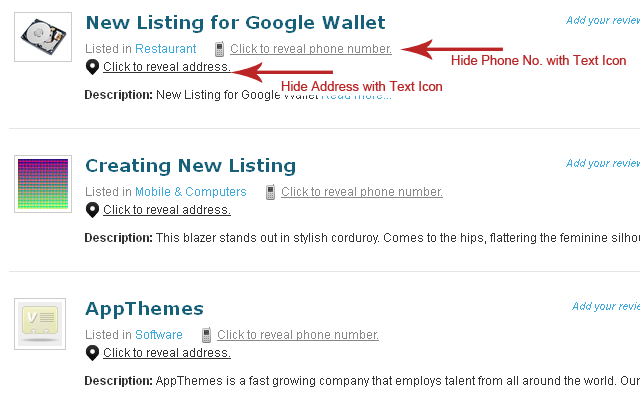 Hide contact information from specific listings pages. No modification is required in code or in theme template files. Captures the IP address, country, region (state), city, postal code, latitude, longitude, and more of the users accessing contact details from business listings. Period & Contact type wise filtration options for listing owners to track hit statics on listing. Note: – Contact-Stat environment is made upon Jquery XTML DOM Object, hence only original “Vantage XHTML Structure” must be employ otherwise Contact-Stats will not work. 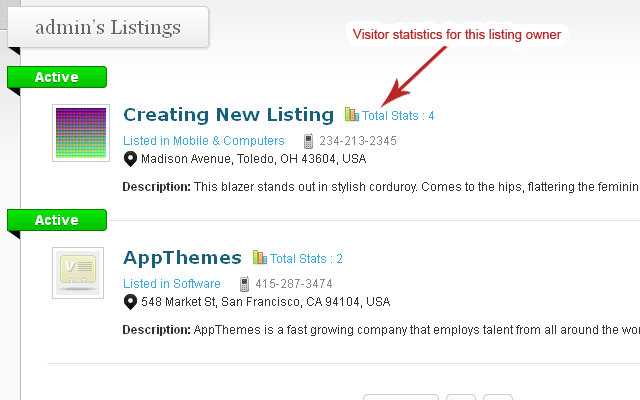 Activating Plugin will add ‘Contact Stats Option’ menu to ‘Listings’ menu. 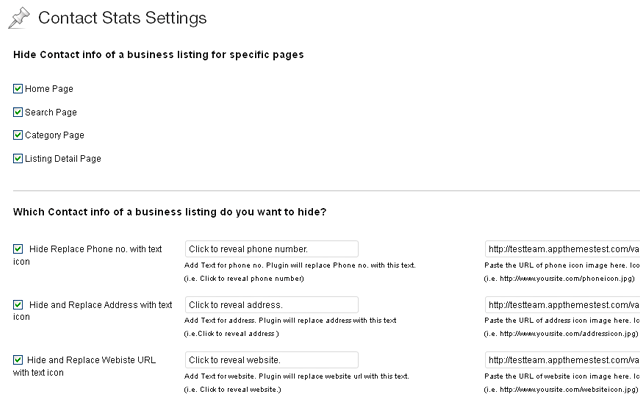 Open Listings –> ‘Contact Stats Option’ page to setup the plugin. But what would really make this plug in the best is an impression feature that would tell how many times the listing has shown up in search results. 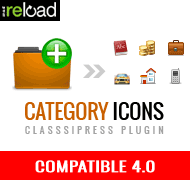 You can download latest version of plugin from AppThemes dashboard. Yes it will work on mobile devices. This year’s Lagos Women Run is in two categories, the Open category for runners who are 18 yrs old to age 44 yrs, and the Veteran category for runners who are 45 years and about.